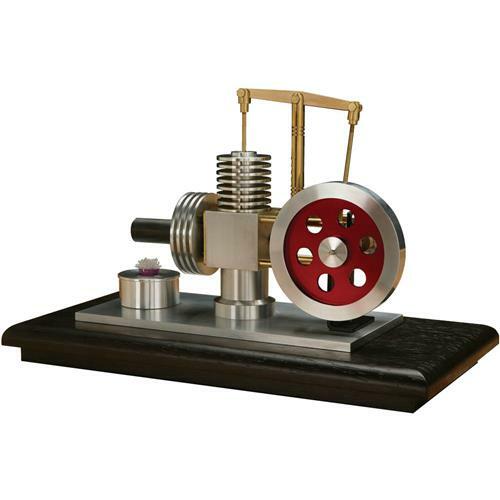 The Stirling Engine was invented in 1816 and operates on hot air that alternately expands and contracts to drive two pistons connected to a flywheel. The air is heated by an alcohol burner and the greater the temperature differential, the faster the speed. 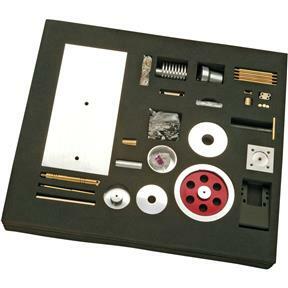 This walking beam Stirling Engine Kit includes all machined parts and is ready to assemble. It even includes the display base. The finished kit measures 9-1/2"L x 4"W x 6-1/2"H and the base measures 12-1/4"L x 6-3/8"W. You will need to drill a small 30° hole between two cylinders for proper operation.